Drafting well can result in the formation of a dynasty Eg: the San Antonio Spurs, and drafting badly despite years in the Lottery can wreck your team Eg: the Sacramento Kings. Some of it, however, has to do with the draft class in which you get a top pick. 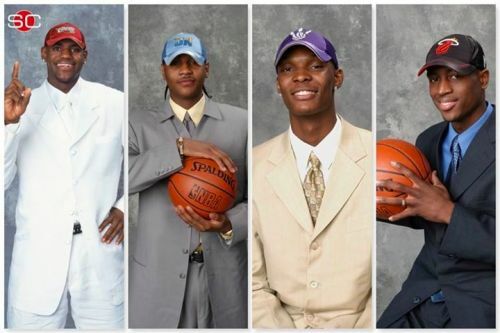 Over the years, we've seen good, average and bad (2000 ugh) drafts. There haven't been too many terrific draft classes but a few have stood out, be it either the multiple All-time Greats or the sheer number of great talent drafted. Here, we rank some of those amazing draft classes. 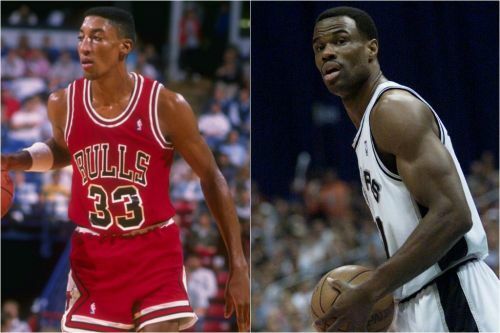 Scottie Pippen and David Robinson were highlights of the 1987 Draft. The 1987 NBA draft saw David Robinson go 1st. Robinson was a 2-time NBA champion, the 1995 MVP and made 10 All-Star appearances. He also won a scoring title in 1994, was the 1992 DPOY and is regarded as one of the greatest Centers of all time. Scottie Pippen went 5th and is one of the greatest defensive players in NBA history. Pippen won 6 NBA titles and was a 7-time All-Star. Reggie Miller was picked 11th and is one of the greatest shooters ever and currently ranks 2nd all-time in 3s made. Miller appeared in 5 All-Star games. Kevin Johnson was picked 7th, was one of the best PGs of his generation and appeared in 3 All-Star games. Horace Grant, Mark Jackson, and Reggie Lewis would also make All-Star appearances. Jackson is currently 4th All-time in Assists. Reggie Lewis passed away because of a cardiac arrest when he was entering his prime at the age of 27.